A culture of violence, the foundational text of which commands men to beat women from whom they “fear disobedience” (Qur’an 4:34), is going to give rise to this sort of thing, just as that same foundational text’s calls for violence against unbelievers (2:191, 4:89, 9:5, 9:29, 47:4, etc.) are going to give rise to jihad violence. Hannover (ots) – Police are investigating a 57-year-old man over a homicide offense. He is suspected of inflicting several life-threatening stab wounds upon a 35-year-old woman this morning (16.06.2018) at 5:30 AM on the Rumannstraße. The victim died a short time later in a hospital. Since this afternoon, the police have been publicly searching for the suspect. At around 18:40, the person sought was arrested in the city of Bielefeld (North Rhine-Westphalia). According to previous information, residents became aware of what was taking place on a sidewalk on the Rumannstraße, a physical conflict between the victim and the alleged suspect, and alerted the police. Witnesses found the 35-year-old, who was critically injured by several wounds on her upper body, and provided first aid together with police officers who had arrived. After the victim was transported to a clinic in an ambulance, she died shortly afterwards of her injuries…. In the eastern city of Hanover on Saturday, a woman died after a knife attack. The alleged perpetrator is on the run. The police assume a relationship act. After a deadly knife attack on a 35-year-old in Hanover, the police are looking for the alleged perpetrator. 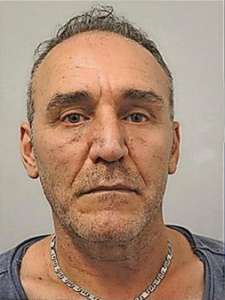 57-year-old Bulent Icel is under strong suspicion of having severely injured the woman on Saturday morning in the Rumannstraße (Oststadt) with several knife wounds, so that she died a short time later in a hospital. The investigators assume a relationship dispute. The offense happened on the street, according to a resident of the HAZ, several neighbors had heard cries for help from the woman and alerted the police….